Good evening everyone! I hope all has been well! We are experiencing some pretty amazing weather today and I have been trying to enjoy every second of it, while still being productive for the blog. 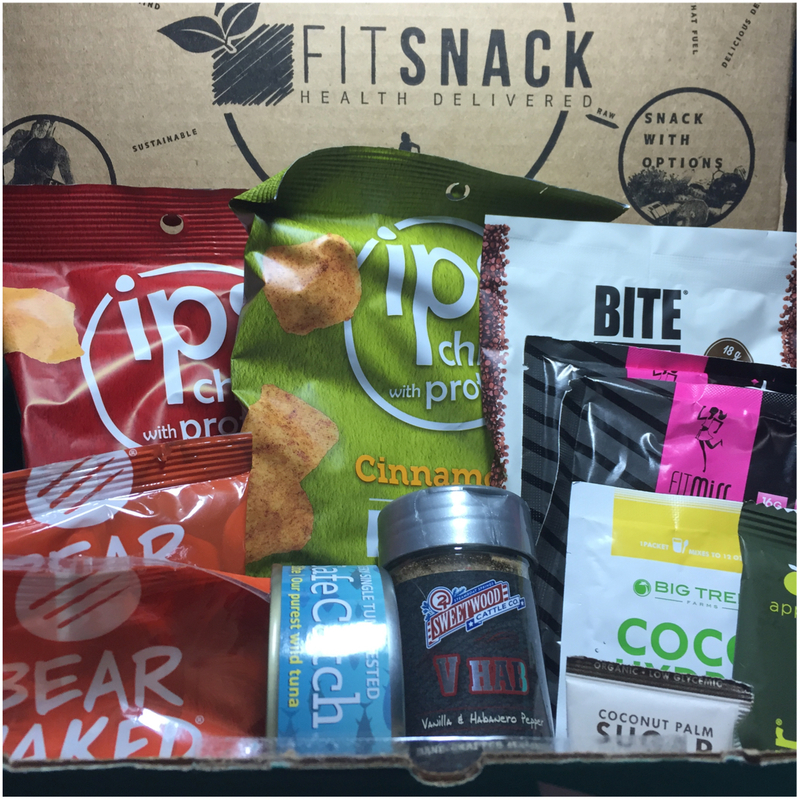 Today we are going to take a look at my June Fit Snack Box. I am falling more and more in love with these boxes. With my crazy hectic lifestyle, I love being able to grab a quick snack when rushing out the door and not having to worry too much about what it is I am consuming. Safe Catch Tuna – Safe Catch is the only brand that tests every single fish for mercury levels. Feel great about tuna. Sustainable, BPA free, Non GMO, and additive free. Eat purple. Live Pure. Muscle Pharm Protein Powder – FitMiss Vanilla Chai Delight is the answer to your afternoon Chai crazing. Designed, dosed, and formulated specifically for the active woman’s lifestyle. Perfect protein for lean muscle. IPS Egg White Chips – IPS (rhymes with ‘chips’, short for Incredible Protein Snack) are the world’s first snack chip made with healthy egg white and whey protein. 6 grams protein, half the fat of fried chips, Gluten Free, and non-GMO. Bear Naked Granola – Bear Naked doesn’t just bring great-tasting ingredients together. they look far and wide, high and low, to discover the earth’s most thoughtful granola combinations. Coco Hydro Powder – Instant coconut water on demand, with naturally occurring nutrients and electrolytes. Bite Fuel Protein Cookies – Guilt-free protein packed treats that will delight your taste buds and fuel your body with energy. Each bag has 18g of protein, is non-GMO and Gluten Free. Sweetwood Cattle Spices – Colorado ground seasoning taste like nothing else you’ve experienced before. The finest All Natural ingredients are sure to surprise your taste buds and make any special dinner even better. One Bar Fruit Bar – A nutritional serving of fruit in every stick of edible goodness. Big Tree Farms Coconut Sugar – One of the lowest glycemic index sweetness, this organic coconut sugar is highly nutrias, ecologically beneficial and provides sustained energy with a similar taste to some brown sugar. These products were sent to me for review but does not influence my opinions.